Today’s news review responds to a misleading story on academy finances, looks at reports of gender neutral school uniform policies, discusses the Education Secretary’s preferred candidate as the new Chief Inspector of Ofsted, and looks at figures from the Food Standards Agency on school kitchens. On Sunday 12 June, the Observer published a misleading story on academy finances and questioned whether they are becoming a ‘cash cow’ for businesses. 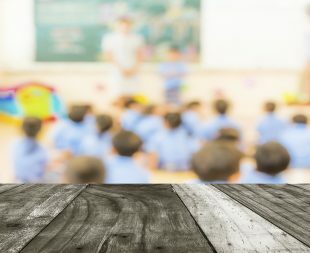 The piece looked at examples of how not-for-profit academies were involved in related party transactions and insinuated a range of wrongdoings. The story was poorly researched and misled readers on a number of factors. Firstly, academies cannot make a profit and there are strict rules in place about related party transactions. All academies must abide by these rules by disclosing them in their annual accounts. Secondly, the article did not reflect the correct situation at the Bright Tribe Trust. In fact the Education Funding Agency has reviewed the financial management and governance arrangements of its schools and the auditors raised no issues in their audit opinion on the published accounts. All academy trusts must prepare annual accounts and have them scrutinised by an independent auditor who gives an opinion on whether they are true and fair, having regard to the recognition and disclosure requirements of the Companies Act 2006. Academies are state-funded schools which are free to attend and run by charitable trusts and, as the Government’s manifesto makes absolutely clear, they cannot make a profit. There are strict rules around purchasing good and services, and academies are required to adhere to our clear financial procedures by disclosing these in their annual accounts. All academies operate under a strict system of oversight and accountability – more robust than in council-run schools — ensuring any issues are identified quickly and we can take direct action. The Education Funding Agency (EFA) reviewed the financial management and governance arrangements at Bright Tribe. The Trust has put an action plan in place and the EFA is monitoring its progress closely. On Sunday 12 June, the Sunday Times published a story suggesting that 80 state schools, including 40 primary schools, have introduced gender neutral uniform policies, which, among other things, allow boys to wear skirts and girls to wear trousers. This story has received follow-up coverage in print media today. The article incorrectly states that the new policies have come in as part of a 'quietly publicised' government–funded drive for schools to be more sensitive to trans children. This is not a new government policy – schools decide their own uniform rules. The government has provided funding for projects specifically aimed at tackling transphobic and homophobic bullying. We have awarded eight organisations a share of £2 million to support schools in fostering positive discussions and attitudes around the harm this kind of bullying can cause. As a result of this funding, 20,000 teachers and staff have received training on these issues and as part of this, some schools have decided to change their uniform policies to make them gender neutral. It is not a requirement of the funding. There are many ways, already being shown by thousands of excellent schools and teachers, to create supportive and inclusive classroom environments to ensure that every child feels able to reach their full potential. It is up to heads to set the right uniforms for their schools, taking into account parents’ wishes and pupil needs. The money we have allocated is specifically to target homophobic and transphobic bullying in schools‎ to ensure no child has their lives blighted by bullying and can reach their full potential in school. On Friday 10 June, the Education Secretary Nicky Morgan confirmed that Amanda Spielman, Chair of Ofqual, is her preferred candidate for the role of Chief Inspector of Ofsted. This was picked up widely by the media over the weekend. She is a leader with a proven track record of delivering complex public services and large-scale people and budgetary management, writes Jonathan Simons of Policy Exchange in the TES, and is 'undoubtedly the right choice' from a field of strong candidates. Ms Spielman is uniquely qualified for the role, having been on the frontline of education reform and overseen our programme of reforming qualifications, ensuring that pupils are sitting exams which prepare them for life in modern Britain. The Education Secretary has now asked Neil Carmichael MP, chair of the Education Select Committee, to arrange for the committee to meet Ms Spielman, and will consider the committee’s conclusions before deciding whether to proceed with the appointment by seeking Privy Council agreement. Ms Spielman would replace outgoing Chief Inspector Sir Michael Wilshaw, who steps down in December. I am delighted to recommend Amanda Spielman as Chief Inspector. From helping to set up one of the country’s top academy chains, to acting as a council member for the Institute of Education, to overseeing our ambitious qualification reform programme, Amanda has extensive experience at the frontline of the education system, making her uniquely qualified to take up this important role. I know that she is the right person to deliver the Education White Paper’s commitment to continue to improve the quality and consistency of Ofsted’s inspections ensuring that it plays a central role in realising our vision of educational excellence everywhere. On Sunday 12 June, the Sun on Sunday sensationally reported that ‘thousands’ of pupils are at risk of food poisoning as a result of 'dirty school kitchens'. This is based on figures from the Food Standards Agency. The piece suggests that there are more than 60 schools needing major improvements – these figures also include institutions in Wales and Northern Ireland, for which education is a devolved matter. However, these schools represent a tiny percentage of the total number in the country. The Food Standards Agency – which works with schools as they would any other business – is clear that as of February this year, approximately 99% of educational or caring establishments, including schools, children’s clubs and nurseries, had satisfactory or better food hygiene standards. Councils are responsible for food hygiene inspections of schools, children’s clubs and nurseries where food is regularly served to children. The vast majority of schools in the country have good food hygiene ratings, and are held to account by the Food Standards Agency. Parents rightly expect the highest standards of hygiene in schools - any that fall below that standard must improve.